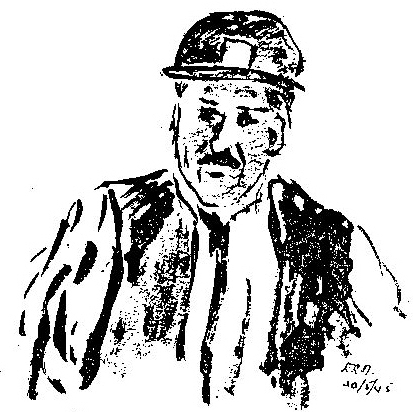 “Meet The Miner” was written and self-published in 1947 by Edwin Robert Manley, the headmaster of Rothwell Grammar School since its inception in 1933. Manley was a “southerner” with a deep passion for learning which he passed on to several generations of local children, many of them the sons and daughters of miners, and many of whom were the first in their families to progress to university. During the Second World War, while he was on night duty as an air raid warden, or with the Home Guard, he became friendly with some of the fathers of his pupils and resolved to tell the story of their working and home lives. With the help of his new friends he went underground at several pits in the Rothwell district to see for himself how the work was done and from those observations “Meet The Miner” took shape. It doesn’t specifically mention any particular pit, as many of the visits were unofficial and he didn’t want to get anybody into trouble, but from his descriptions you can gain a vivid picture of what it must have been like at Water Haigh and other local collieries. Copies of the book were sold as far afield as Uganda and Pakistan. Below is an extract where Manley describes a typical trip underground. 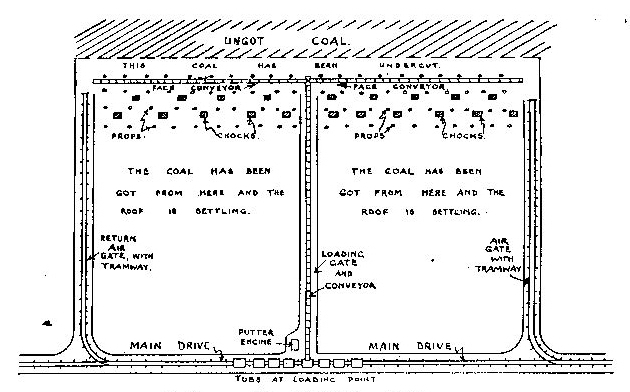 The text is illustrated with his own diagrams and sketches by Michael Groser, one of the so-called Bevin Boys who were drafted into pits as part of the war effort to keep up coal production. Michael was born in 1918 and was a pacifist and conscientious objector. During his time as a miner he lived with Richards and Annie Moss on Thirlmere Avenue in Tingley. In his spare time he enrolled at Leeds School of Art to learn sculpture and after war he moved to Oxford where he earned a living restoring gargoyles and grotesques on the city’s medieval churches and college buildings. E.R. Manley, who lived on Leeds Road at Lofthouse, became a Labour councillor on the Rothwell Urban District Council in 1946. Two years later he was instrumental in setting up Rothwell’s first public library in an old wooden hut. In 1957, as Chairman of the Building, Housing and Planning Committee he handed over the 1000th post-war council house on the Wood Lane estate. He also served as Chairman of the full council. Other jobs included being on the Religious Advisory Council of the West Riding, the presidency of the National Union of Teachers in Yorkshire, and a stint as Chairman of Division XIII of the Headmasters’ Association. Manley was born in 1899 at Newnham Murren on the banks of the River Thames near Wallingford in Oxfordshire, the son of a farmer from Devon and an Irish mother. They must have been a reasonably prosperous family as they employed a nurse and a cook. Several years later they moved to another farm at Potcote in Northamptonshire and Edwin Robert went to Dr Knight’s School a few miles away at Towcester. In 1918, just before the end of the First World War, he was gazetted as a temporary 2nd Lieutenant in the Labour Corps. He then went to Oxford University where he was a “Late Scholar” at Lincoln College. In 1922, at Leicester, he married Hilda Louise Ellam who was born at Louth in Lincolnshire. Later, in 1956, E.R. 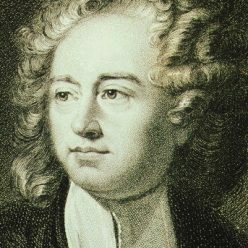 Manley published “A Spate of Sonnets” which was inspired by the poetry read to him as a child by his father and mother. In the introduction he said he started “dabbling” in poetry receiving a “trifling payment” for a political ballad penned for the elections in 1910. After his retirement he moved back to Oxfordshire where, before his death in 1970, he wrote a series of books about the English language and a history of the village of East Hendred. The visit I have described here was rather more extensive than many people are able to make. It was, nevertheless, superficial. I know many of the men down there. One deputy is the father of two boys at my school, one now in the R.A.F. and the other in the third form. The other deputy is the husband of one of my governors; others I have met in Home Guard, A.R.P., or at W.E.A. lectures or in the British Legion. They are much more than grimy faces and sweating backs seen for a moment in the light of a pit lamp. How do they live? What is their reaction to issues of life and death, to grievances, to friendship and parenthood? How are these reactions coloured by their experience in the pit? These are questions I will make some attempt to answer. The past five years have given me many friends, and amongst them is one who knows pit life in all its phases. He has fallen in with the idea of putting the miner on paper. As a first step, he has taken me down a pit, and we have wandered through its labyrinths while the coal-getting process has been in full swing. We left his house at five in the evening, and cycled by country lanes until the pit head lay before us in a hollow – an amorphous group of buildings clustered round a winding wheel. We turned from the road down a cinder track which led into the pityard, and parked our cycles in his office. I signed the visitors’ book, and he provided me with a miner’s padded helmet. The pit yard is a depressing place; at older collieries the buildings are shabby, some look derelict. There is a maze of railway lines; thrown down haphazard are rusty coils of worn steel haulage cable and old steam valves; outside the lamp room is a pile of rotting batteries that would fill a railway truck; weeds are springing up, a new shed of unplaned deal boarding is half constructed: the place is an unkempt litter. We drew our lamps from a room in which many hundreds are racked, and went straight across the yard to the winding engine-house. My friend pushed back a small door in the large one through which we had to enter, in order to reduce the pressure and make it easier to open. We passed in. In the lobby between the two pressure doors, there is a large block of coal which has been cut out to the full thickness of a seam for a sample. It had too much dirt in it – even my amateurish knowledge was enough to tell me that – and the seam will not be worked. We passed on towards the winding room. On the way we met a man coming out. My friend stopped him, and wanted to know why he was coming out at that time, and he replied that a coal-cutting machine had broken down and he was taking a note of what was required to give to the fitters. My friend read the note and told him to carry on. Already it was obvious that there are miners and miners.The lamp-room man had a clearly defined routine; he was a man with a keen sense of order and procedure; the winding-engine man gave a similar impression of responsibility, but there was something more. Years of raising and lowering cage-loads of men, whose lives depend immediately on his steadiness, had given him some special quality of mind, such as is found amongst drivers of passenger trains. Dropping those hundreds of feet in a pit cage has often been described. We reached pit bottom, and I was perfunctorily smacked on the pockets by the man there to see if I had matches or cigarettes. Then we went on to the deputies’ office. An overman was there to meet us, and he had a lot to say about the difficulties of coal-getting and of keeping up production. The damaged cutting-machine was his text, and he wished that those fellows from Whitehall would come and see the difficulties for themselves. He would have carried on much longer, but my friend indicated that time was a consideralion, and we started off. There was a machine face quite near the pit bottom, and we made our way there, along the main haulage way down a incline of 1 in 4. Presently, we turned sharp to the right, down a narrow passage with a single track for tubs taking timber to the face. We came to one end of the face where the coal-cutting machine was lying idle, for the afternoon shift was “coaling off”; that is, they were getting the coal that had been cut and shovelling it on to a conveyor belt. The face had nearly been cleared, but they were still at it, and we crawled along the face to watch a collier at work. 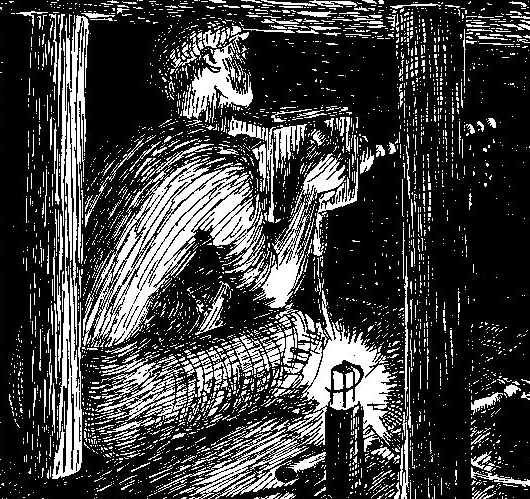 The seam at that point was only two feet two inches thick, and in that confined space he was alternately using his automatic pick and then shovelling the coal. This was the real thing. All the vast machine of the pit with its sprawling surface buildings, its multiplicity of officials, its enginemen, haulage hands, maintenance men, all the inspectors, wholesalers, retailers, shareholders, weighmen, checkweighmen, trade unions, not to speak of the industry of the country, depends ultimately on that man and others like him at the coal face. His back was towards me as I scrambled on hands and knees, somehow clutching my lamp and in deep gratitude to my shock helmet, without which I should have brained myself. He was crouching and working. His back was bare, and I could see the sweat glistening upon its playing muscles. He was quite glad to pause for a moment so that I could see in what his work consisted, and then he went on in such a way that I could see how he did it. We returned to the main drive and went a little further along to where there was a dense cloud of coal dust and a steady crash and clatter as the conveyor belt discharged its coal into tub after tub, which were pushed forward by hand as they filled. We followed the conveyor to the face, where it made connection with two other belts coming in at right angles. These were travelling at only half the speed of the belt which carried the coal to the tubs, and, at this meeting point, two men were crouching and guiding the bigger lumps as they made the right-angle turn. There was the coal passing us in a steady, glistening, black stream, flowing out of the bowels of the earth and away to your fire and mine. Again we returned to the main drive, where the steady stream was crashing into the tubs. Amongst the haulage hands at this point were some Bevin Boys, one of whom had driven a milk delivery lorry. He was obviously quite acclimatised and seemed to be happy enough, though he said he would rather be driving his lorry. As we went on from this point, there was some talk between my friend and two deputies about Bevin Boys as a class, and some difference of opinion, one maintaining that they were a nuisance and another that they were indispensable in war-time conditions. Our next visit was to a hand-getting face. We followed the main drive beyond the end of the main haulage rope into a region where pit ponies were in use. The first place we visited had already been cleared by the two colliers and was empty. The machine face is in a constant din and dust. The cutting machine makes a noise which fills one’s body with a disintegrating vibration, and, while flling off, there is the constant crash and the black clouds at the loading end of the belt. The hand-getting section has by comparison a quiet, human atmosphere. At the end of each gate two men work together. They break into the coal face to a distance of about six feet, and then work to right and to left. Along the face a narrow track is laid on which runs a “danny” – a low, steel truck on small wheels. At the place where we were, the seam is about two foot four inches thick. The coal has to be shovelled into the “danny” by a collier crouching in that space. It is then pulled to the drive, and loaded from the “danny” into tubs which are pulled out to the main haulage by ponies. The next place we visited, the two colliers were still there. They had filled off their coal and were waiting for the shot-firer. They had already drilled the holes for the shots. This is not an easy job. Automatic drills are used. The drills are six feet long, and propelled by a compressed air engine something like that of a pneumatic pick, but the apparatus has to be held up on a man’s shoulder while in use, and the manipulation of this very heavy tool demands not only skill but considerable physical strength. The roof of the drive has to be sufficiently high to admit a pony dragging tubs, and it was to bring down the necessary rock that the explosive was to be used. The shot-firer probed each of the holes with his long stick to make sure it was the correct length, and then proceeded to push down the necessary explosive and to stem the charge with a mixture of clay and sand. In each case he fitted the last cartridge with an electric detonator, the wires of which were connected with his little portable shot-firing battery. When everything was ready, the shot-firer took up his position in the drive using an upturned tub as a shelter, and the colliers and ourselves went right round the corner into the next haulage way. The deputy who was with us at this point insisted that we took the turn to the left-hand because it was at an acute angle with the drive in which the shot was to be exploded. He told us of an accident which had occurred in that spot a few years before, when a deputy had been killed by a piece of stone which had ricochetted round a corner. It had struck his buttock, gangrene had set in, and he had died four days later. Presently, there was a muffled explosion and a sudden momentary changd of pressure; the first shot had been fired. The second soon followed, and we went to see what had happened. There was a pile of rock on the floor of the drive, and the colliers immediately went to work to clear it by building it into the cavity left by the coal, and so making a support for the roof and a wall for the lengthening drive. This ripping down of the roof would have to be carried sufficiently far to enable the tubs to be brought up for the next filling off. Our next visit was to the bottom of the shaft, where the coal tubs were being wound to the surface. There were long lines of tubs awaiting their turns. When we arrived, the loaders were expostulating because the boys at the conveyor belt had filled a long tub used only for carrying pit props. This was not intended for coal, and it was very awkward to get into the cage, and was holding things up. It had become derailed half in and half out of the cage, and they were levering it in with baulks of timber. Presently, routine was restored and, to the tinkle of signal bells, the procedure went on. A double cage was being loaded simultaneously at two different levels with two tubs at each level – an orderly but strenuous routine for the men concerned. We waited for several minutes, and then called in at the tables. There were stalls for about eighty ponies, and most of them were full. The ponics were a fine lot, and in several of the stalls were the coloured cardboard certificates of prizes won at various shows. the surface. We handed in our lamps, had a wash in the office, and then went to the canteen. The pit head canteen is a splendid institution. While we were having tea and buttered tea-cake, there was a steady stream of men, some “in their dirt,” some bathed and clean from the pit-head baths, From a very fully appointed kitchen, efficient-looking helpers were handing out everything from a cup of tea to a full meal; all looked equally well prepared and served piping hot. Then home. Work at a machine face is a twenty-four-hour cycle of three operations in unending succession. When the face is first opened out in an old pit, the individual places at which pairs of men have been working are brought into a straight line for a distance of about 120 yards, or, more usually, the face is worked from a main drive. The first 20 yards or so is got by hand with pneumatic picks; the wall of the main drive is made good with big stones, and the roof is propped right up to the face. At each end of the 120 yards, there is an airway – a tunnel about eight feet wide and seven feet high – through which air is drawn up one, along the face and back by the other to the main drive by a system of doors which regulate the ventilation, which is sucked through the whole pit by a fan at the surface above the upcast shaft. A third tunnel is made from the main drive to the centre of the face. This is wider than the others, and it is here that the main conveyor belt is placed. The next step is to bring in the coal-cutting machine, which is driven by compressed air or electricity. It is something like the machine a farmer uses for cutting hay, with the difference that the long arm of the mower which cuts the hay is fitted with a knife which has a backward and forward motion, whereas the long arm or jib of the coal-cutter cuts by means of an endless chain fitted with powerful teeth. The motor is flat and very heavy (about three tons), and is propelled forward by means of a steel cable made fast at the other end of the face to a derrick prop – a thick timber prop, the ends of which are fixed, one in the roof, the other in the floor. The haulage and the cutting jib are operated simultaneously by the turbines of the engine which is an integral part of the machine. As the machine does its work, the props holding up the roof are moved and reset behind it. There are four men as a rule on thc machine. The charge man drives and regulates the machine, one man following behind clears the duffy (that is, the coal and dirt brought out by the cutter picks) to prevent it from fouling the action, another man goes in front of the machine taking the timber out to allow the machine to pass. and the fourth follows behind resetting the props. As soon as the power is turned on and the machine begins to work, there is a fantastic din, and the confined space is filled with a dense cloud of black dust. It is impossible to speak, and inadvisable to attempt to do so, as the air is thick enough to choke a speaker. The men are stripped to the waist, and are soon sweating at every pore, the sweat making pale channels on their blackened skin. This work has its own dangers. The din is too great for the machine men to hear any movement of the roof, and they have to watch the timbers very carefully for any sign that undue weight is coming upon them. Then, too, the props are removed for the passage of the cutter, so that a length of some eight feet is left unsupported just at a time of maximum vibration. Unless the roof is very sound, the machine men are in constant danger of a fall. A stone may weigh anything from a pound to several tons, and it drops without notice. If it is what is called a slip – that is, a large section of stone which is not an integral part of the stratum which forms the roof – there is nothing to support it at all when the props are removed. In this way, the machine grinds and roars its way clown there in the earth from one end of the face to the other, its attendants following its labours in an ordered routine which can be interrupted by any of a multitude of accidents. The chain may break, the compressed air hose may blow off and curl back like a striking snake, the turbines may freeze up owing to the moisture in the air forming ice round the ball bearings; these apart from any accidents to props. The machine may even be completely buried by a fall, and have to be dug out, and the stone cleared away. When the machine has done its work of undercutting anything from 4 feet 6 inches to 6 feet and has reached the end of the face, it is pushed in the corner and the men have done their job for that phase of the cycle. The next phase of the cycle is in the hands of the conveyor builders, whose business it is to place the conveyors alongside the cut face – one for each section of the face – ready to carry the coal to the gate conveyor, which lies at right angles to them. This carries it along the main gate to the loading on the main drive. The belt is carried by a sort of trough, which consists of six-foot sections and which is fitted with rollers for the belt to run on as it passes endlessly round. Each of these two face conveyors is, of course, half the length of the face, and the belt for it is in sections jointed together by hinges in twenty-five yard lengths. The timbering is already done when the conveyor builders arrive, but their work is heavy and very awkward for they have to work between props which are only a yard apart and form a thick forest of obstruction. In this maze and in the confined space between roof and floor, they have to manipulate the heavy metal trays and the thick rolls of belting. They place the trays end on alongside the face and clip them together, and then pass the belt under and over the rollers. It sounds quite easy, but it is not as easy as it sounds, as the construction has to be exact, and the conveyor engine properly set and in line with the conveyor. Any maladjustment and the machine simply will not work. Accurate setting under such conditions demands experience and skill. 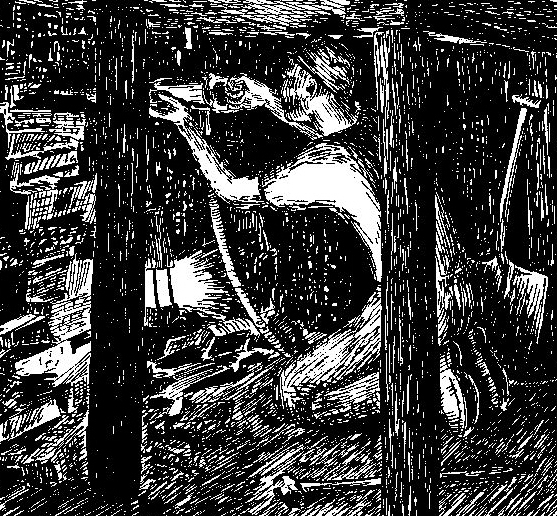 The third phase of the cycle consists in “coaling off.” The next man to come to the face is the borer, who uses a pneumatic drill to bore holes every ten yards along the face and just below the roof. He is followed by a shot-firer, who performs the operation for bringing down the stone at the entrance to the coal face. This time he is dealing with coal, and, as this has been already undercut by the machine, the firing of the shots – which is done singly -brings down the coal at those particularly spots and makes it casier for the colliers, who come on next, to break into the coal. It is now that the face and the conveyor gate and the haulage roads become thickly populated; for this is harvest time. Twenty colliers come to the face itself. They begin work by attacking the face with pneumatic picks and breaking into it until they have reached the back of the cut, each at his own place. As he gets the coal down, he takes his shovel and loads it on to the conveyor, which is now in motion. When he reaches the back of the cut and has made himself room to work, he turns at right angles and works towards the main conveyor and, for every yard of coal he gets out, he has to set two props and a bar resting on them to support the roof. He rests the prop on the solid floor and hammers the upper end into position with a seven-pound hammer. In a thin seam, all these operations have to be carried out in a crouching position, which comes as second nature to a born collier, but is practically impossible for anyone else to work in. If you doubt this, try it out under your own dining room table: work there at anything you like, sufficiently heavy, for ten minutes and see how you find it. And while the coller is at work, as many men again are carrying out auxiliary operations. There are conveyor attendants, who keep the belts working and see that the coal passes from the face to the gate conveyor; there are men keeping up a steady supply of timber to the face by way of the air gates at each end of the face; there are men at the loading end moving the empty tubs into position and moving them on when filled; there are men on the putter engine, which drives the belts; there are haulage hands bringing and taking away tubs which they attach to the main haulage rope, which draws them to and from the coal-winding shaft. Then there are the rippers whose job it is to extend the gates and to pack the stone into walls which line them. All these different functions are going on as part of the business of coal extraction while the colliers are at work at the face; they are units in a human machine which dovetails in with the mechanical contrivances to form one integrated whole. Three hours after the colliers have started at the face, the timber drawers come on. Their business is to withdraw all the back timber: that is, to get the props and chocks which have been left supporting the root as the face has moved forward. A chock is a construction of blocks of timber, 2 ft. x 4. ins. x 4 ins., which are built up into an open cube to support the roof much more sfrongly than a single prop could do. These chocks are set behind the conveyor every 4 yards in two staggered rows. The timber drawer removes the back row of chocks first and reconstructs them just behind the conveyor. He pulls qut the individual props and bars. He is supposed to use a Sylvester apparatus which consists of a steel chain operated by a ratchet, and so makes it unnecessary for him to be immediately beside the prop, which may release a stone as it is withdrawn. It is now against the law to use a hammer, but it is so much quicker to do so that the timber drawer may be sorely tempted to use the faster, but more dangerous, method of his earlier days. The timber drawer’s job is a dangerous one. The machine face moves forward so rapidly that there is a tremendous weight on the timber, infinitely more so than in a hand-getting section. Sometimes even the chocks are crushed to pulp and cannot be moved: they may have to support such a weight that a four-foot-six chock is compressed to a bare six inches. The timber drawer can do nothing in such cases. The props are more often than not so damaged as to be of no further use. The following incident is typical of the sort of thing which is happening every day in one pit or another. An official was measuring the flow of air along a machine face, and had just stopped to speak to the deputy who was watching a collier. The roof was not even at that point, and a piece of coal was left adhering to it; the collier was getting it down with a pneumatic pick. As soon as he had got the coal down, the deputy told him to put up his props and bar at once. The deputy passed these over to him, and the collier had just lifted a prop to set it when a stonc fell from the roof completely burying him. All the two men could see was the bottom of his back, for he was on his knees in a crouching position. Fortunately for him, he was not alone. He had broken into the new face and was working along it parallel to the conveyor. The deputy got round between the stone and the new face and lay down to get his shoulder uinder the stone, which was caught at one end against the coal. The deputy heaved with all his strength, and was successful in preventing the stone from slipping right down. The other official got hold of the man by the hips with no more than the tips of his fingers and managed to draw him slowly from under the stone. The man weighed a good thirteen stone, and the official was a man of slight build, weighing less than nine stone himself, but the terrible energy which an emergency can arouse enabled him, in that confined and obstructed space, to drag to safety a heavy man forced into a completely doubled position. As soon as he was free, the deputy removed his shoulder, and the stone crashed flat upon the floor. The victim of the accident suffered internal injuries which kept him from work for three months, but he will never be nearer death till his end actually comes, and he has lived through that moment many a time since. After his return to work, he was standing at the counter of a pit canteen when I passed by in the company of one of the two men who had rescued him. His face did not light up in any demonstrative fashion, but there came into his eyes a kind of glow of restrained unformulated emotion, as if he recognised one with whom he had undergone a sacramental initiation into an inexpressible relationship. The only extraordinary thing about this accident was the man’s lucky escape. The accident happened in the presence of witnesses, each of whom knew exactly what to do, and did it without consideration for personal safety; a further fall of roof might have happened at any second. Until quite recent years, there was very little machinery in a pit. The collier’s main tool was the hand pick, which had a shaft a yard in length and a head of 2 and a half pounds, much lighter than the roadman’s pick axe. He had also his shovel and seven-pound hammer. In a handgetting section at the present day, the only difference is that the pick is pneumatic, exactly similar in detail to those which we hear racketting away on the road, but rather smaller. The whole atmosphere of the handgetting section is different. There is no question of a cycle of operations and the colliers work in pairs, not in teams of twenty. Then, too, there are no conveyor belts, and, in thick seams, the coal is filled straight into the tubs, so that a crowd of attendants is unnecessary. Only the pony driver comes in from time to time bringing in about ten tubs in every couple of hours. From the main gate a tunnel just large enough for the pony is cut at an angle of 45 degrees, and from it small gates are driven forward parallel with the main drive and 33 yards apart. In each of the gates is a place (in Yorkshire pronounced “oil”) where the two colliers work in inseparable partnerships which may last more years than one made at an altar and with less disagreement. The first step is to break into the solid coal immediately ahead, and this is the hardest task of all, for they do not have the assistance of shots and the coal is not undercut. The two men take turns until they have made the necessary headway – usually two yards. Then when they have made themselves room to work, they turn at right angles to the face and one works to the left and the other to the right until they have got sixteen yards in either direction – an operation which takes about four shifts. The empty tubs are brought in by the pony driver, and tipped on their sides off the rails. The junction between the railway in the gate and the rails that are laid at right angles to it along the face is a very simple affair, consisting merely of a flat iron sheet four feet square on which the collier swivels the tubs by hand. He pushes the full tubs along the gate far enough to give him access to the empty ones which be brings up as he needs them. The two colliers do everything for themselves; except actually firing the shots which are necessary in a thin seam to bring down the stone and provide the necessary headroom in the gate. The colliers build this stone into the walls of the gate – what is known as “making a pack.” They set and draw all their own timber, chocks and props alike, and they lay their own rails. The drawing of timber is quite a different business from what it is at the machine face. The coal is got so much more slowly and so much smaller an area of roof is exposed at one time that settlement is slow and nothing like so dangerous. Timber can be used over and over again, the costs in this respect as in some others being much lower per ton of coal got. The process of propping is exactly the same in principle. The atmosphere is indeed different; it is human. The colliers working together, year in and year out, get to take their partners’ little troubles for granted. Sometimes, the queerest of partnerships are formed. When a pit closed down recently, one very small collier, a man well into his sixties, who could have had a maintenance job about his old pit-head, refused it so as to be able to go with his mate, a six-footer and a good thirteen stone, to the new pit to which he had been directed. This combination of very big and very small, so often seen in matrimony, is no rare thing in the pit; there are also the queerest combinations of temperament. Two colliers who worked together for years illustrated both these considerations. One was an enormous gorilla-like creature who persistently chewed a quid like the bolus a vet gives to a cow; he worked to a steady flow of blaspheming with brief gaps during which he placed the quid on a bar or on his shovel whenever lie came on a hard piece of coal, and bet himself a chew of bacca that he would have it down in one. His mate was of slight build and meticulously careful in speech. Before the present relatively high wages, coal-getting was a fight. Colliers would bribe pony drivers to “slip ‘em a couple in” (tubs) out of turn. Tobacco was the usual medium. Then from time to time, there would be a case of “mottying.” The colliers in each gate at a handgetting face fill their own tubs as a group and affix to each a smalll metal docket with their common number stamped on it. This is done by means of a loop of string, which is passed through two holes near the top of the tub and made fast by slipping the “motty,” as the docket is called, through the loop. When the tub reaches the surface, the man who puts the tub on to the weighbridge calls out the weight to the weighman and also hands him the motty, so that that tub can be credited to the colliers who filled it. It is the easiest thing in the world to take off a motty, throw it into a disused gate and put another on instead, but it is the worst of crimes in the eyes of the collier. It is very difficult to detect, and the culprit may evade detection for a long time. Some years ago, a collier was trapped when “removing his neighbours’ landmarks,” and was given a year’s imprisonment. On his release, he was given work at the same pit, but never as a collier. Bad luck pursued his family. One son had his arm caught between two tubs and broken, and was killed a year later by a runaway full tub which he did not hear because he was standing beside the putter engine. The cousin who worked with this lad had his leg broken. So terribly did bad luck pursue the family that four sons were out ol the pit injured and on compensation at the same time. Whether all this had anything to do with the father’s misdeed must be left to the reader to decide for himself, but there can be no doubt that there was a tacit assumption by his colleagues that the hand of fate was working.